Since Peace Corps’ inception in 1961, over 60 deaf Americans have successfully served in Peace Corps. Additional 138 Americans with some degree of hearing loss have served too*. Now that I have been in Cameroon for almost a year, I can certainly share how my experiences in serving the Peace Corps as a person with hearing loss have been unique. I want to primarily write this post not only because I want to give people insights about what is like to serve in the Peace Corps as a person with hearing loss, but also create awareness that it IS possible for deaf and hard of hearing people to serve in the Peace Corps in spite of some obstacles that are unique to them. It’s just a matter of knowing how to handle the barriers! 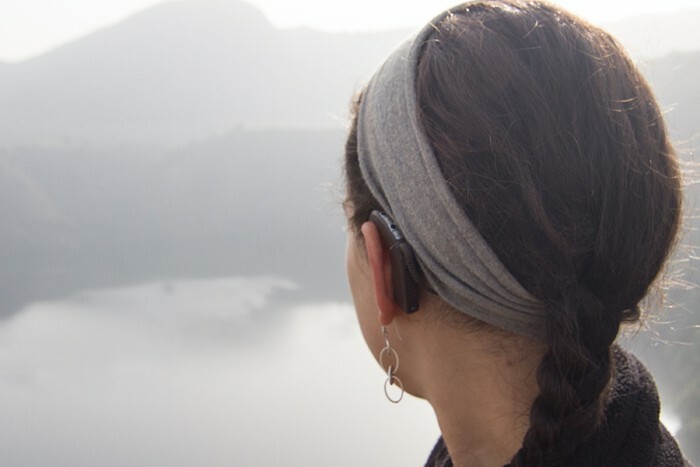 Everyone in my Peace Corps community in Cameroon knows very well that I have hearing loss. I have always been upfront about my hearing loss since before arriving in Cameroon. When I first joined the Facebook group for all the volunteers who were heading to Cameroon together last year, I asked a couple of questions that pertained to my concerns about serving in the Peace Corps as a person with hearing loss. For example, I asked how common it is for volunteers to be posted with electricity. I also expressed concerns about getting a final medical clearance because I knew that having hearing loss could be an obstacle to being cleared. Fortunately, I did receive a final medical clearance without any battles. The very first challenge I encountered when arriving in Cameroon was learning to listen to their accents. I struggled at first to understand Cameroonians both in English and French. While my brain takes a longer time than an average person who hears normally to adapt to hearing different accents, I do eventually reach the ability to understand them with very little difficulties. However, I did face a number of instances where I had to say, “I’m sorry. I didn’t hear what you said. Can you please repeat?” While communicating with Cameroonians has been challenging, it has been the least stressful part of my service. Because I grew up facing communication challenges, I already knew the strategies for handling the situations. When I was in training during the first two months of my service, I spoke up to the trainers and informed them that I have hearing loss and that I may ask for clarification on materials that I may have not understood. The trainers could not have been more understanding as they told me not to hesitate to ask them questions. When they gave presentations using PowerPoint, I always brought my USB key and asked them to transfer the presentation file to my USB key after their presentations so that I could review the information during my own free time. I sometimes asked other trainees if I could review their notes to make sure I had all the information I needed written down. I am not going to deny that with the combination of hearing different accents and learning new languages, listening to lectures for seven hours a day was exhausting. I always made sure I rested after training everyday so that I would have the energy to focus well the following day. During training, I spent several hours learning foreign languages, French and Pidgin English. While learning foreign languages was my strength in high school and college, I still needed some accommodations to ensure I could reach my fullest potential. The accommodations included making sure the trainers pronounced clearly and they could provide visual aids when possible. I was fortunate to come to Cameroon already having years of experiences in learning and speaking French. Therefore, in training, I focused on improving my vocabulary skills. I was very open in telling the trainers that it was important for them to pronounce clearly and if there was an unfamiliar word they were saying that I could not understand, I would ask them to write it down. Seeing the words on paper helped me better understand how to pronounce them and also remember them because I’m obviously a visual learner. Learning Pidgin English was challenging because it’s an oral language. However, I was fortunate to have a wonderful trainer who understood that some trainees learn languages better by reading and writing. Therefore, he provided all of us with text materials and also had posters with writings in Pidgin English. In day to day life at my post, I will once in a while face a moment where I say something completely off topic in response to what other people say because I misheard what they said and I don’t realize it until I see their facial expression giving me a hint that my response was weird or they tell me upfront that I misunderstood what they said. All Peace Corps Volunteers face this situation too because listening to a language that is not our own is certainly challenging with normal hearing too. However, because I grew up facing this moment a number of times, I have learned that it’s not the end of the world. I always say, “Oh! I’m sorry! I thought you said this…” and then I ask for a clarification. I have not faced stigma due to my hearing loss. That is because hearing loss is an invisible disability. Strangers only know that I have hearing loss if I wear my hair up in a ponytail, and they can really notice my hearing devices which are actually difficult to see because the color of my hearing devices is the same color as my hair. So, my hearing devices blend in well with my hair. The only time people have really taken the time to notice my hearing device and ask me was when I was at a school for the deaf, the deaf children pointed to me and then pointed to their ears. When if I ask strangers such as vendors or drivers to repeat because I didn’t hear what they said, they have not shown rudeness when repeating. I believe it’s because they assume that I didn’t hear because of language differences, which is often true as to why I don’t always understand what they say the first time. While many people with disability face stigma when going to the local health centers for treatments, I haven’t. I have always received great care. The unfortunate truth is because I am white and therefore, they see me first as a foreigner, not a person with hearing loss. While I normally converse on the phone with ease, using the phone in Cameroon has been challenging because of the different accents and also because I use a cheap quality phone. When I face a situation where I could not understand the person on the phone, I always ask them to please text me to make sure I have the correct information. Because texting is not so popular in the Cameroonian culture, sometimes I’m not always able to get a text. So, sometimes I will ask someone to contact the person for me and to relay the information to me. There also has been occasions when if I’m with someone in person, and I’m speaking to a Cameroonian on the phone and can’t understand what the person is saying, then I will ask the person who is present with me to take the phone and relay the information to me. Electricity is certainly very important for me in my Peace Corps life. While some volunteers may not have electricity, many can have electricity. So, while I worried about whether or not I would have electricity to be able to recharge my hearing devices before coming to Cameroon, I very quickly learned that I would be able to get access to electricity without any problem. When I first arrived in Cameroon, I was very upfront with Peace Corps staff about making sure I have electricity at post. They have been wonderful about making sure I have access to electricity. Of course the electricity does not need to be consistent as I can also use disposable batteries when there is no electricity. However, I prefer rechargeable batteries because they have a higher waterproof rating than the disposable batteries. Cameroon has seven months of rainy season where there are heavy rainfalls for several days and thus, it’s very important that I’m able to use the rechargeable batteries to ensure that I can hear my best at all times. I also brought solar panels with me so that if I face power outage for a long period of time, I can at least have the option to still be able to recharge my rechargeable batteries. My solar panels definitely did come in handy a few times! Maintaining my cochlear implant devices has not been an issue so far even though I live in a very wet and dusty environment. While Cameroon has seven months of rainy season, the country also has five months of dry season where there is a lot of dust in the air. One could expect my cochlear implant devices to break easily from a lot of moisture and dust, but they are still working like a charm. This is because I use a device called “Dry n’ Store,” an electric box I use to store my devices during nighttime while I’m sleeping. This is another reason why having electricity is important! This box cleans my devices. A lot of credit also goes to the company who made my devices because they are made very durable and water and dust resistance. It’s important to note that while every Peace Corps Volunteer who hears normally experience their journey differently, every deaf or hard of hearing person’s experience in Peace Corps is unique too. For example, there is a number of deaf people who served in Peace Corps without cochlear implants or hearing aids and so, they did not need to worry about having electricity. Those who primarily communicated in sign language had their own unique communication barriers such as learning how to communicate in the sign language of their host country. 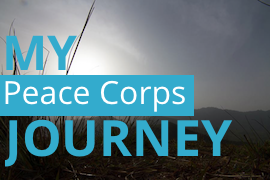 If you’re a deaf or hard of hearing American and interested in international development work and serving your country, I would encourage you to apply to join the Peace Corps!